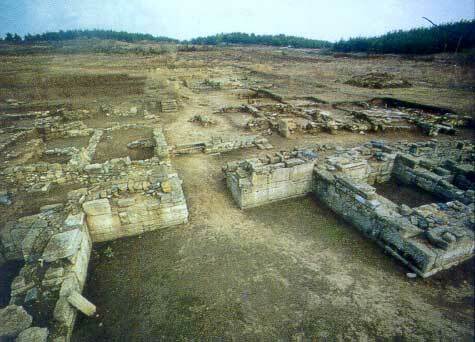 The site of Abdera was settled in the middle of the 7th century B.C. by colonists from Clazomenae and in 545 B.C. by the inhabitants of Teos. It soon grew to a prosperous city, with a fortification wall, harbour, dockyards and sanctuaries. 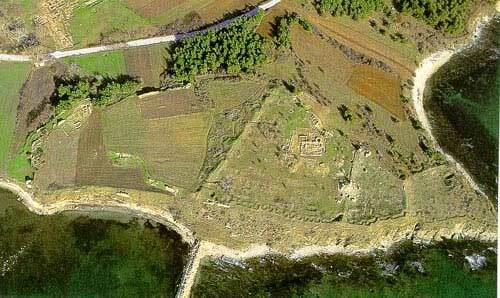 This was the city of Democritos, and was host to the army of Xerxes. In the middle of the 4th century B.C. a new section was added to city on the south side, built in the Hippodamian system, with strong fortification walls, an acropolis, two harbours and workshop areas. The city flourished until the Roman period, when it lost its importance and the defensive walls were abolished. 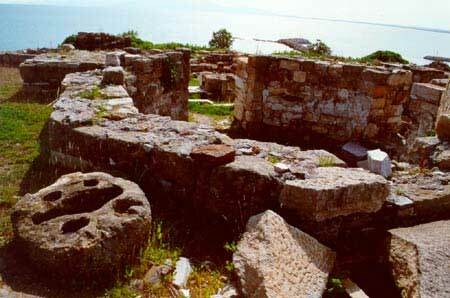 During the Byzantine period the site was used as a cemetery. Excavations on the site were begun in 1950 by D. Lazarides and continued until 1966. The fortification walls and the buildings of the south enceinte (later city) were then uncovered. The same area and the ancient cemeteries were later excavated by the 19th Ephorate of Prehistoric and Classical Antiquities. The Archaic city inside the north fortification wall and its cemetery have been systematically excavated since 1981. A project for the preservation of the monuments was undertaken in 1985. So far, all the buildings found during the old excavations have been restored and the site is open to visitors. Area of the West Gate. The wall of the 4th century B.C. was reinforced with towers and a gate on the west side, quite well preserved. Remains of houses have also survived in the enclosed area. Roman house. The rooms are organized around a central, paved, peristyle courtyard with a well. Clay figurine workshop. Complex of four houses which were also used for the manufacture of terracotta figurines. 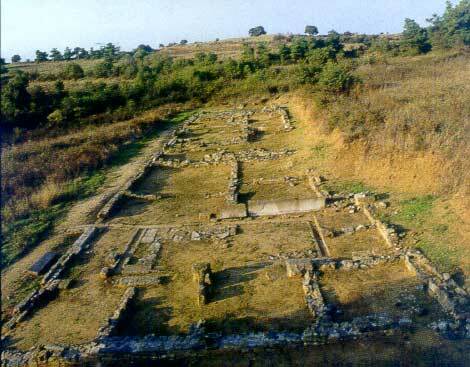 Roman houses on the hill of Aghios Panteleimon. The Archaic city. Remains of an Archaic establishment have been uncovered at the NE corner of the north fortification wall. Excavations have brought to light two successive phases of the defensive wall, dockyards, a sanctuary and private houses. "House of the Dolphins". Private house of the Classical period, inside which was found a mosaic with a representation of dolphins. 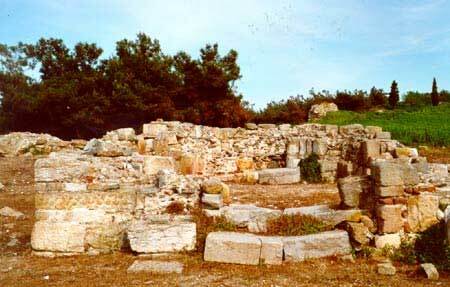 Polystylon was the name of the city founded in the Middle Byzantine period on the site of the acropolis of ancient Abdera, on a low hill by the harbour. 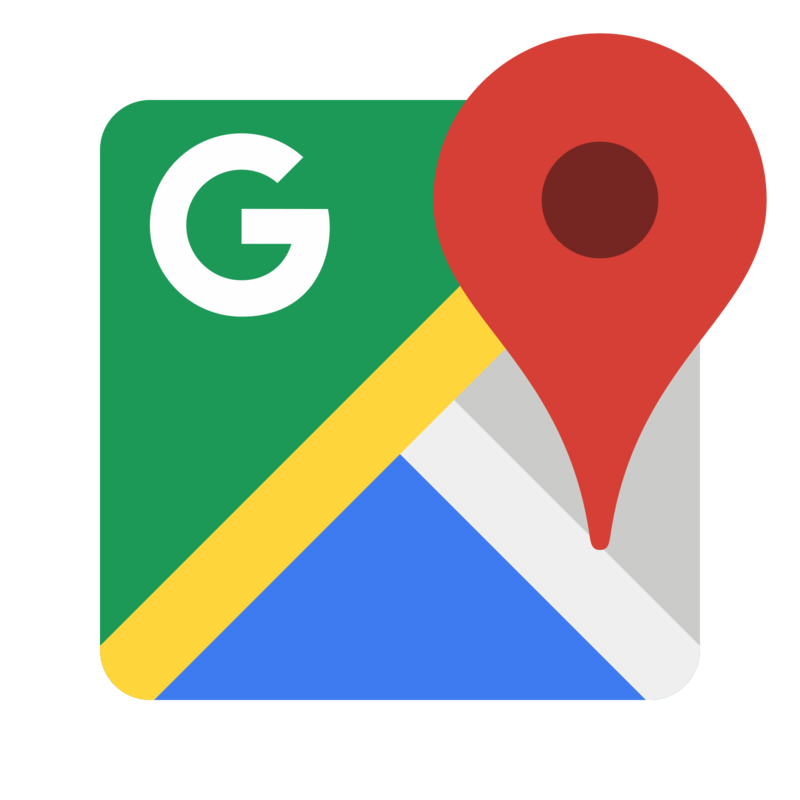 The name is probably owed to the numerous ancient columns ("stylos" means column in Greek), which were transported from this area. 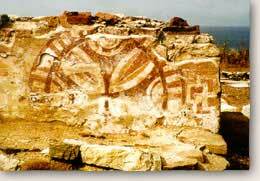 Excavations began in 1982 and were continued until 1984; work was resumed in 1991 and is still in progress. Single-aisled domed church dated to the 12th-13th century. The ruined church and the cemetery around it were discovered inside the walled area, near the gate. Post-Byzantine three-aisled church with an earlier, octagonal baptistery. It was located on the top of the hill where the tower of the Byzantine acropolis stood, and is considered to be the Episcopal church of the city. It was founded in the 9th-10th century and was repaired in the 11th century. A built tomb with an arcosolium was brought to light next to the baptistery. Cemetery of the 9th-11th centuries. It lies outside the walls of the Byzantine city, in front of the west gate of Abdera, on the site of the ancient cemetery. A three-aisled basilica was also located in the area. Middle-Byzantine fortification wall of Polystylon. It is founded either on the Classical or on the Roman-Late Roman walls. The central gate is located on the north side of the fortification. 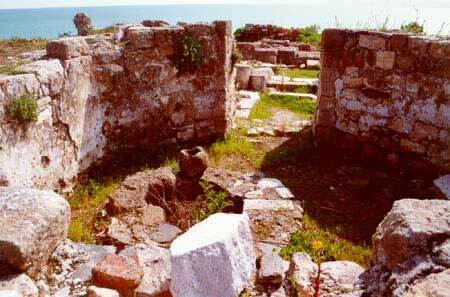 Ruins of a small bath in the vicinity of the SW tower of the Byzantine walls.